How would you like your steak? 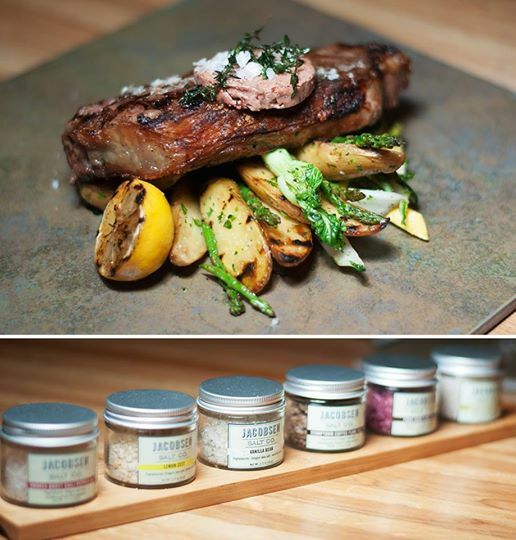 How about locally sourced, perfectly seared, and with a side of fingerling potatoes and fresh, seasonal vegetables? We can do that. Thanks to Tillamook Meat Inc. for providing us with premium quality New York Strip. Finished with local Jacobsen Sea Salt and delicious Beurre Maître d’Hôtel, this is a steak that is as close to perfect as we can make it.